IKI Krav Maga is an Israeli art. While our source is Israel our techniques are influenced by our international experience. IKI Krav Maga is currently taught in over 30 countries world wide. We gain from our encounters with students from all over the world. The interchange of ideas increasing our knowledge. Each country has its own culture of crime and violence, its own unique attacks and strategies. IKI takes the Israeli principles of Krav Maga and adapts them to create solutions for violent encounters all over the world. We learn from every situation. We give to the world and the world gives to us. But Krav Maga is Israeli. The basis, the foundation, is the experience of the Israeli people. A Krav Maga association that is not based out of Israel cannot possibly offer the same way of thinking, the same "On my body" על גופי experience. Israel has something unique to offer. It is something we have gained from our youth, our childhood, our adolescence; it is something intangible which is in our blood. It is something we understand and communicate without words. Anyone can learn Krav Maga but you must remain connected to the source. The source of Krav Maga is Israel. Below are a series of lessons I have compiled, drawn from Israeli military history, living in Israel, and growing up with never ending war and terrorism. I apply all of these concepts to our style of Krav Maga: IKI Krav Maga. 1. We are in an ongoing state of war. This is a war for survival, not for expansion. In this ongoing war there are several short term intensive wars. 2. The constant state of warfare gives us the advantage of constant analysis. We have the ability to evaluate real time all aspects of defense and adjust accordingly. 3. We must be completely honest in our self evaluation and in our review of success/failure. There is no room for bravado or self praise. Mistakes must be acknowledged. Lessons must be learned. 4. We are operating from a weaker position; smaller territory, smaller population and resources to draw on, less time to prepare for war, difficult international position. (If we succeed the world immediately pushes for a ceasefire to prevent further success). 5. Wars must be kept short, we have little "air" to maintain a long battle. Taking too long means the loss of the state. 6. We are a small country and we lack strategic depth. In other words, we have little room for retreat or mobility, we cannot absorb many blows. The ability to retreat is limited at best. Thus our slogan is "Kadima", Forward. 7. In order to succeed we must have unity. Unity of the armed forces, unity of our civilian population, unity of our brothers worldwide. 8. We must build a strong deterrent force, our aim must be to prevent a war. 9. A battle, or war, ends when both sides realize they have more to lose than to gain at this point. We must convince the attacker that he has much to lose and little to gain by continuing his attack on us. We must create a situation where the enemy realizes that the danger of ongoing war outweighs the risks. 10. Fighting Spirit leads to fights - If you fight back hard, even if you do not win today you will take away your opponents fighting spirit. Sometimes an opponent will attack only to build up his own courage and fighting spirit. You must not allow him to develop this confidence. You must not allow him gradual increase in confidence. The War or Attrition against Israel had the goal of restoring the fighting spirit of the defeated and routed Arab armies of 1967. It succeeded in this objective which lead directly to the attack on Israel in 1973. You must always be aware of the your enemies fighting spirit. 11. We must know as much as possible about our enemies, their abilities and tools, strategies and objectives. 12. You must understand the enemies Value System. We have to internalize the enemies value system. We must not superimpose our own value system on the enemy as this will lead to incorrect expectations and incorrect preparation and reaction on our side. In 1973 before the Yom Kippur War, Egyptian President Anwar Sadat announced that he was willing to sacrifice a million Egyptian soldiers in order to achieve his goal of restoring lost Egyptian territory. Israeli intelligence dismissed this as rhetoric. After it, it makes no sense, we would never do that! To us each life is a world, each life is a family. This was a mistake. Experts later concluded that perhaps we should have given a little more weight to his words, perhaps we should have respected his value system more. The Jews in Europe judged the Nazis based on their own value system and logic. "They will never kill us all, it makes no sense, they need us for the war effort. It is illogical to kill productive workers." But the Jews did not understand the Nazi value system, that genocide was important that the logic of work productivity. Misunderstanding their value system lead to incorrect conclusions and actions. Decent hard working people might feel it is not "logical" for a criminal to kill the for ten dollars, it makes no sense. Why risk jail for only $10? Decent hard working investors might not understand why a multimillionaire will scam them for their hard earned savings. It makes no sense. Not understanding this greed will lead them to misjudge and trust. We have to view the situation from the perspective of the enemy, not from out own Value System. Do not assume the enemy is thinking as you are, they are not. 13. Confidence is important. But confidence must be mitigated and controlled by humility. Confidence can lead to arrogance, arrogance leads to failure. Confidence must not lead to disrespecting your enemy. 14. If needed, preemptive strikes must be taken. If a war must be fought we should be the ones to choose the timing. 15. In combat we must achieve an immediate psychological advantage over the enemy. 16. There must be quick "turn around time'. Fights must end quickly. Use overwhelming force and end it fast. 17. The defense and the attack must become one. The nature of an attack upon us means that we are initially in a defensive position, this must be turned into an immediate attack. Take the battle to the enemy. 18. Our strategy must be to weaken the enemies resolve to fight, on his ability to fight and to take him out of his balance, destroy his balance. 19. We must focus on the enemy's vital points. We do not have time to attack every aspect of the enemy. We must identify the Vital Points and attack those. In the 1973 Yom Kippur War the airfields were not vital points while the rocket launchers were. The Israeli air force did not have the ability to attack all key points on two fronts, it was essential to make a correct choice as to the enemy's most vital points. The same is true in hand to hand combat. You cannot attack every point on the body, you must identify the vital points and focus on those. 20. Identify real threats. If something or someone is not a real threat, do not devote scare resources to it. In 1973 Israel attacked Egyptian air fields that were not a real threat. In the process they wasted vital time, missed other opportunities and lost two dear pilots and two valuable planes. 21. Yesterday's success is history and is no indication of future success. We must always prepare for the next war while drawing lessons from the previous war. 22. Humility - never underestimate the power or ability of the enemy. 23. Never exaggerate your own abilities, never assume that what you achieved in practice can be duplicated in actual combat. 24. All weapons, techniques, training regimes, strategies must be constantly evaluated. For example between 1967 and 1973 the Israeli air-force was completely revamped; new aircraft, new bases, new methods of selecting pilots and new methods of training. 25. Our fighters must establish physical and psychological superiority. 26 Our soldiers must be ideologues, they must believe in what they are fighting for. 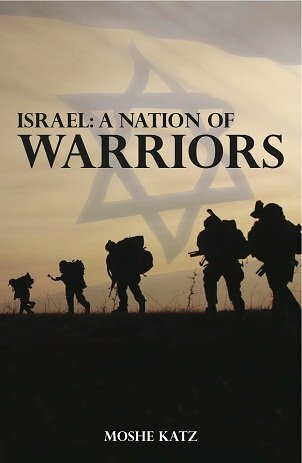 Our soldiers must be Zionists, passionate Zionists who believe in the righteousness of our cause and our path. 27. We must accept that "the few against the many" is a given that will not change. 28. Our soldiers must know their tools, their weapons, intimately. 29. Our soldiers must be balance men; social men, aware of their own self-worth, proud of his work and his ability, brave, independent personality, willing to take risks. A man of discipline, a team player, a human-being and a friend. Even if there is a contradiction between discipline and initiative taking, the commander must bridge that gap. 30. Understand that in real combat nothing can be expected to go as plan, as such all of the above must come into play; a superior warrior, an adaptable flexible warrior who can initiative and think on his feat. 31. Be open to new information that does not match or suit your current understandings or expectations. Be open to new information that challenges your preconceptions. In 1970 both Israel and the United States could not conceive that the USSR would actively participate in the Egyptian Israeli conflict. Clear intelligence was gathered proving that this was the case. Both nations ignored this information for five months as it did not fit their expectations. Not until Russian plans were flying over Israel did the "penny drop". All things change. He who does not change is quickly left behind, in combat and in life. 32. "Aggression without expertise is the same as suicide". (General Yaakov, "Yak" Nevo). Yes, this contradicts what you will see in many commercial styles of Krav Maga where aggression is the key selling point. One must first learn technique. Aggression without technique is the same as suicide. 33. Survival is not a given. The danger of being terminated is real and constant. If your survival is important to you, you must never lose sight of this fact. These are the principles by which we live. IKI Krav Maga is based on these principles. All of the above principles can be applied to Krav Maga. While a war is between nations and Krav Maga is between individuals, the principles are the same. Our mindset and approach are a direct result of applying these principles. I had a friend who had been very fat. She kept a "fat photo" of herself on the refrigerator, she needed a reminder of the situation she never wanted to return to. We, the Jewish people, have such a photo. I grew up seeing adults with numbers tattooed on their arms, long before tattoos were popular. I knew what they meant. I grew up hearing stories. I saw ancient Crusader fortresses and heard stories about how the Crusaders massacred and decimated the Jewish population. I heard and I read. When we fight we know what we are fighting for. We never want to go back to the way things used to be. That is not an option. To be part of our evolution and growth, you may join IKI on line and become part of the process. You will receive Krav Maga training video clips directly from Israel.